In the System Settings Menu, go to the 3rd page, then select "PARENTAL CONTROLS." Select "YES," to change the parental controls. You will be prompted for your 4-digit PIN. 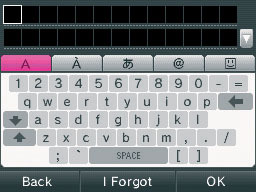 If you know the PIN, select the empty text box and enter the PIN using the on-screen keyboard, then select "OK" to continue. 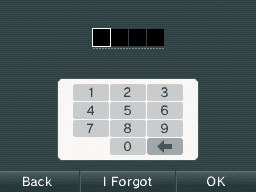 If you don't know the PIN, select "I forgot," then select the empty text box for the answer to the secret question and enter it using the on-screen keyboard. Select "OK" to continue. If you don't know either the PIN or the secret question, the Parental Controls will need to be reset. An Enquiry Number will be displayed. Ring the number given in the Nintendo DSi Operations Manual and provide the Enquiry Number. You will then be issued with a Master Key. Tap "OK" and enter the Master Key. Tap "OK". Select "PIN" to change the PIN or "CHANGE SETTINGS" to update the setting you wish to change. Once the changes are made, select "DONE" to confirm any changes.